The 87th Annual Chincoteague Volunteer Fireman’s Carnival begins on June 29-30. It opens 7 p.m. every Friday and Saturday through July, with Chincoteague 4th of July fireworks (actually on July 7th) at 10 p.m. and Pony Penning week July 23-28. On the weekend of July 13-14, the carnival’s proceeds will go toward the building fund, so be sure to go and support the volunteer firefighters of the Chincoteague Volunteer Fire Company! Experience a great month of events and support a great cause at the Chincoteague Volunteer Fire Company Carnival. 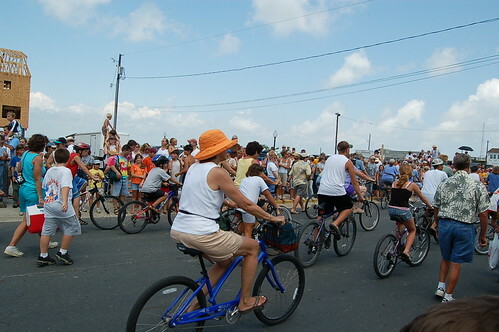 This Chincoteague favorite event has all the fun, rides, live music, games and food you long for in a summertime carnival. Stuff your mouth with cotton candy and get on the ferris wheel! Don’t forget to enter the raffle. There are great prizes this year, including a 16-foot Bayliner Boat with motor and trailer, and a golf cart that’s legal to cruise down the street. Join the fun and support the local Chincoteague Volunteer Fire Company! For more information and a detailed schedule of events, please visit www.cvfc3.com.